I am happy to announce that I will be facilitating a 5-week workshop on the Art of Business/Business of Art at the Cedarburg Cultural Center. 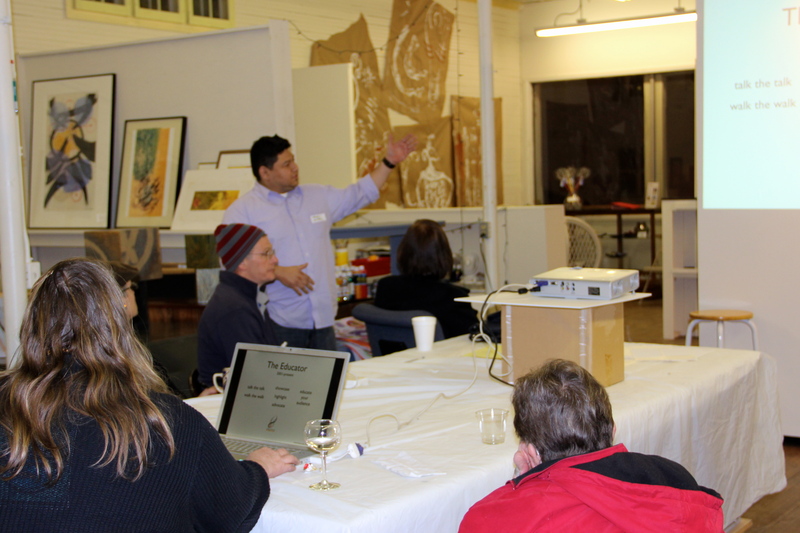 This workshop introduces artists to a cyclical system called the “Pathway to Success”. This model is designed to target every aspect of designing, facilitating and monitoring a successful plan to self-promote. Participants will create his/her own plan to determine what strategy is best to communicate, to establish a presence both online and in person, carry forward their message, nurture relationships, maintain visibility, and to evaluate the process on a quarterly, bi-annual and/or annual basis. To learn more about or to register for the “Pathway to Success” workshop click here. Image above taken during the Wisconsin Visual Artists North East Chapter Meeting, Main Street Arts, Hilbert, Wisconsin.